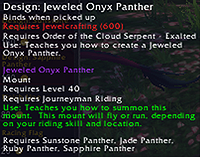 If you want to craft the Jewelcrafting mounts in Mists of Pandaria there are a few things you’ll need to know. First you’ll need to level your Jewelcrafting to 600, which is the maximum in MoP. 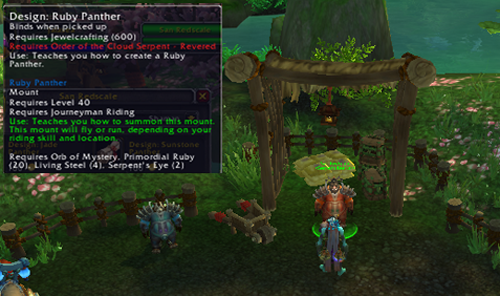 Second, you’ll need reputation with the Cloud Serpent Riders in the Arboretum in the Jade Forest. Different levels offer different patterns. San Redscale sells the patterns for the Cloud Serpent Riders. He’s near the flight path. The materials to make them are not cheap. Here are the materials for the Jade, Sunstone, Ruby, and Sapphire Panthers. 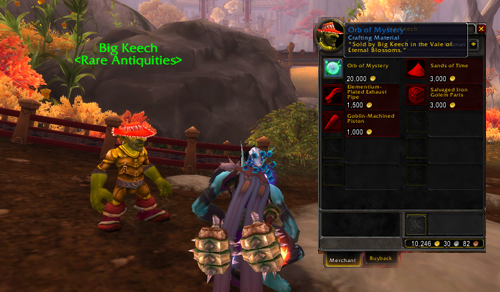 You can buy an Orb of Mystery from Big Keech in the Vale of Eternal Blossoms for 20,000 gold (18,000 with guild perk). Big Keech isn’t so big! The Jeweled Onyx Panther is a little different. 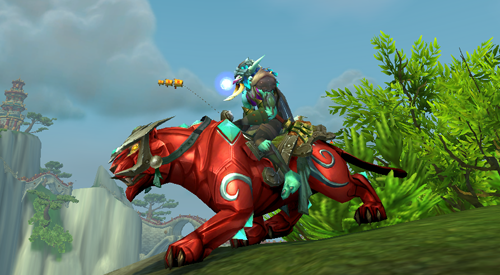 You combine one each of the previous panther mounts to create it. So that one is going to be extremely rare, and extremely expensive. 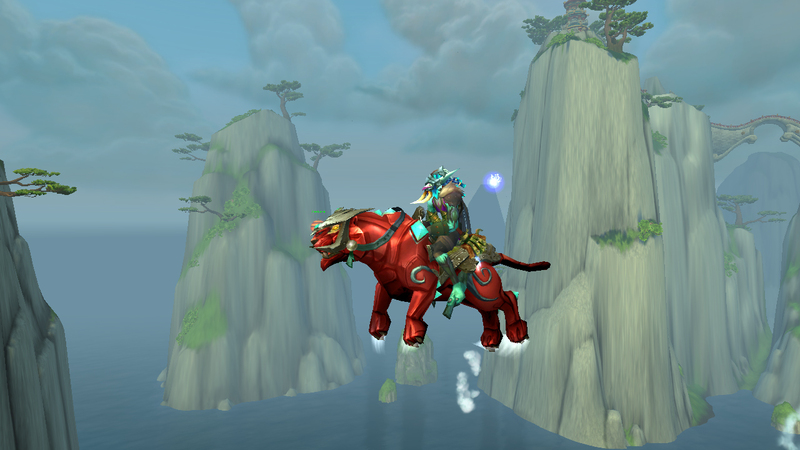 So far in the beta I’ve only crafted the Ruby Panther. I’ll save the others for when MoP goes live.